Post your own review of the book, or about reviews that you have seen on or off line. This isn't a review, per se, but rather an interview with me at the Tolkien Library. Still, this seems to be the most appropriate place to put it. Folks - here's the TOC for the issue that should be on its way to subscribers by mid-April. If you're not a subscriber, there's still time - go to the website and use PayPal for the fastest service! Lilith in a New Light: Essays on the George MacDonald Fantasy Novel, edited by Lucas H. Harriman; Black and White Ogre Country: The Lost Tales of Hilary Tolkien, edited by Angela Gardner; the new second edition of C.S. Lewis and the Search for Rational Religion, by John Beversluis; Faith and Choice in the Works of Joss Whedon by K. Dale Koontz; Fritz Leiber, Critical Essays, edited by Benjamin Szumanskyj; Myth and Magic: Art According to the Inklings, edited by Eduardo Segura and Thomas Honegger; From Narnia to A Space Odyssey: The War of Ideas Between Arthur C. Clarke and C.S. Lewis, edited by Ryder W. Miller; The Mirror Crack'd: Fear and Horror in J.R.R. Tolkien's Major Works, edited by Lynn Forest-Hill; and Arda Reconstructed: The Creation of the Published Silmarillion, by Douglas Charles Kane. I saw this at the blog of Jason Fisher, a Tolkien scholar who is a frequent reviewer for Mythlore (he reviewed both Rateliff's The History of the Hobbit and Flieger and Anderson's Tolkien On Fairy-stories). I have two book reviews in this issue. These are Myth and Magic: Art According to the Inklings, edited by Eduardo Segura and Thomas Honegger (Walking Tree, 2007); and Arda Reconstructed: The Creation of the Published Silmarillion, by Douglas Charles Kane (Lehigh University Press, 2009). Both of these are substantial reviews, each in the neighborhood of 3,000 words (one slightly more, one slightly less). As always, I welcome any feedback on them — they should be online in a couple of weeks. (Don’t worry; I’ll remind you. Jason's reviews tend to be quite detailed (3000 words is a pretty long review), and he also can be quite picky. It should be an interesting review. I'll certainly link to it once it is online, and probably respond to any comments that I think are worth responding to. I have been long waiting for this book or rather for this kind of book. I was even myself thinking about writing this kind of textual analysis of published Silmarillion. There were several reasons for this. First of all "Silmarillion" was, for J.R.R. Tolkien, his the most important work. So one would like to see what Christopher Tolkien and Guy Gavril Kay did with the text left behind by Tolkien. To what extent have rendered the concept of J.R.R. Tolkien, and how much not. The second, equally important reason is to draw the attention of readers and Tolkien fans, that the Silmarillion published in 1977 is not the work of JRR Tolkien, but as Christopher Tolkien himself admits, it is a selection of texts made by editors, which should not be seen as a canonical text. This is a well known fact, but still here and there people like to use the text published by Christopher Tolkien, as a final proof or a closing argument in a discussion. Douglas C. Kane attempted to carry out this analysis and I really like what he did. It isn’t a book for every fan of Tolkien, it is only for those who take a pleasure in tracking down the textual history of Tolkien legendarium, those who like to dissect a text and look for its sources. We got a meticulous, paragraph after paragraph analysis of published Silmarillion. Exactly the thing, we, OK I needed. This method of presenting the source material for published Silmarillion, makes it clear which sections of text were derived from the JRR Tolkien works, and which from the editors. Therefore we may see to what extent we are reading the words of Tolkien, and to what extent the text reconstructed (constructed) by editors. And the result may surprise many of us, because Kane shows how a small part of published text is in fact the result of the work of Ch. Tolkien and G.G. Kay. At the same time observing which fragments of Tolkien’s legendarium were used, we can also observe which parts of it were omitted by Ch. Tolkien, evaluate (agreeing or not agreeing with D.C. Kane assessment) if the decisions are understandable or not, and ask the question why Ch. Tolkien made this choices and not the other? Importantly, the book is friendly to use. I must admit, I did not believed the author's assurances, that there is no need, when reading his book, to consult the text of Silmarillion. So I took a copy, and not even once took a peek into it. Indeed, one do not need to read this book together with the Silmarillion. The text is very clear and has logical structure. This is not mistakes-free book. One may question some of the arguments made by author, such as the status of the so called Great Tales, and if they were to be included into the “Silmarillion”. I am also a bit doubtful about the treatment of the chapter “Of Maeglin", which is a little bit too cursory. But as for myself, there is just few such controversies. What's more the importance of this book lies not, however, in complete correctness, even in author’s meticulousness, which is by the way admirable, but in the very fact of its edition. The preparation and edition of the book moves the discussion on the "Silmarillion" to another level. The author has done ungrateful and painstaking work, which should be done at least a decade ago. Thanks to which the discussion of legendarium will change its nature, or at least it should change. The first customer review has appeared at Amazon. The first review in a Tolkien-related publication has appeared, and it is NOT the Mythlore review that I have been expecting for the past week or so. It is a review in the journal Beyond Bree, by its editor, Nancy Martsch (who sent me a couple of comments last week through the comment form at the arda-reconstructed.com site (obviously in the course of preparing this review, although I didn't realize that at the time). I think it is a fair review, both in the sense of making legitimate points and in the sense of being some place in between positive and negative (or more correctly, making some positive comments and some negative comments). I'll probably address some of the points that she makes at some point soon when I have the time. I was probably most pleased to see that she made a point of praising Breogan's illustrations. As I mentioned, I was surprised to find a review of Arda Reconstructed in the last issue of Beyond Bree, by Nancy Martsch. Here are a few responses to some of the comments in the review. She feels that my "subjective approach" is the greatest defect of the book. She makes an interesting comment: "The reader needs to make a conscious effort to separate what Christopher did from what Kane thinks he ought to have done." It's hard for me to see that, but perhaps I am just too close to it. It seems rather obvious to me what are descriptions of what Christopher did and what are my opinions about what he did, even if one disagrees with those opinions. I'm curious to know if others had this difficulty. Nancy goes on to admit that she too is being subjective in her review, because she also is a big fan of The Silmarillion, and she fundamentally disagrees with me about some of my opinions. Interestingly, unlike some who have posted here, she feels that I make "a good case for the reduction of female characters." She also feels that more minor details could have been incorporated, and perhaps the Second Prophecy. But she feels that it is better that some of the longer stories were left out. And she points out that "some of the edits can probably be explained based on context or literary style." One of her biggest disagreements with me seems to be over the question of whether the Athrabeth should have been included as an appendix. She feels that it was correct to not include it despite the fact that Tolkien had written "Addit. Silmarillion" on one of the wrappers (she neglects to mention that he also wrote "Should be last item in an appendix") because "the world wasn't ready for the Athrabeth in 1977." She says that since this is Tolkien's "most profound philosophical work" it required "a good understanding of the First Age in order to be appreciated. She says that since we only had The Hobbit, LOTR and The Adventures of Tom Bombadil at that point that wasn't background enough. This is an interesting point, with perhaps some validity. On the other hand, had the Athrabeth been included as an appendix to The Silmarillion we would have had that background in that book! Particularly if it were the more inclusive version that I have argued for. It is of course pure speculation that can never be proven one way or the other, but I think that having had the opportunity to absorb "The Athrabeth immediately after reading the First Age tales contained in The Silmarillion -- and then the opportunity to continue to study both together over time (rather than having to wait an additional 16 years between them)-- would have only enhanced people's understanding. It seems to me that at least at the point that Tolkien wrote ‘Should be last item in an appendix’ on the wrapper of the Athrabeth, that he thought so too, since if that plan had been followed readers would not have had any additional background on the First Age beyond what would have been published in that version of The Silmarillion (other than the little bit that is in The Road Goes Ever On). We will of course never know, but it is fun to speculate. As Nancy says in her concluding paragraph, "One may or may not agree with Kane's conclusions, but they should stimulate thought." I think that stimulating thought is always a good thing! And she also says that the book "should prove quite useful to researchers." Finally, after observing that the text is well presented, she ends by saying "And high praise for [Breogan's] beautiful art." Thank you, Nancy, for a thoughtful and thought-provoking review! This a very long, meaty review, overall fairly positive, but with some sharp criticisms. I will, inevitiably, respond to some of Jason's comments, but I wanted to put the link up so that other people can read the review first, and perhaps even comment before I get a chance to. I do want to thank Jason for taking such a close and detailed look at the book, and writing about it so extensively. Even though I don't necessarily agree with everything he says, it warms my heart to see my book taken that seriously. My apologies, but I find that the only way that I comment on the review intelligently is to go through it paragraph by paragraph. Sorry to make this so long. W.H. Auden, Tolkien’s dedicated advocate and one-time student, once wrote that “The words of a dead man / Are modified in the guts of the living” (93). Auden was thinking of Yeats in these lines, not Tolkien, but they describe very well the situation Tolkien’s readers face today: attempting to digest an enormous (and still growing) body of Tolkien’s posthumous writings, with new works continuing to appear nearly forty years after the author’s death. Douglas Kane’s Arda Reconstructed: The Creation of the Published Silmarillion is one particular attempt, in which the author seeks to digest a wide range of these texts, to sample the complex flavors of their interrelationship(s), and to chew on the role Tolkien’s son, Christopher, played in making them more palatable to a larger audience. In Arda Reconstructed, then, Kane explores how Tolkien’s words were “modified” in Christopher’s “guts,” and in the process reveals how they have been “modified” in his own as well. I like the Auden quote; it definitely helps to get right to the heart of the matter. Jason does a good job of suggesting -- without stating straight out -- that my book is one that is likely to engender strong feelings. To put it another way, there are many possible “Silmarillions” — Christopher’s (published in 1977), Charles Noad’s, Douglas Kane’s, yours, mine. Arda Reconstructed seems to be about objective questions — what Christopher cut, what he changed — but at least as much, it is about subjective aspects of the work — why was it cut, what was the effect, how could the book have been different, and so on. In this, Kane acts both as a reader of The Silmarillion, and as a reviewer of Christopher’s efforts to makes sense of his father’s “Silmarillion” papers. But we would do well to remember Tolkien’s admonition (Letters 304): “[a] sharp distinction must be drawn between the tastes of reviewers […] and of readers!” So warned, this reviewer will proceed with caution. Jason echoes here the point that Nancy also made in her review about the dual purposes of the book: the objective and subjective analyses. And he gives the first fair warning that he is not going to give me a free pass (nor should he). This is the first of two references that he makes to Charles Noad, but he never explains why. Anyone who has read Tolkien's Legendarium will understand the significance of the references. No one else is likely to do so. This is more of an issue at the other reference to Mr. Noad, I think and so I'll talk about it more there. One marvels at the amount of work Kane has invested in his project and appreciates the rigor with which it is documented. Meticulous as it is, one has the feeling that — like all icebergs of scholarship — only perhaps one-tenth of the author’s labor has actually made it onto the printed page. The only more thorough inspection of Tolkien’s innumerable recensions, drafts, jottings, and marginalia that I can think of was Christopher’s own — which Kane has largely retraced and reconstructed (to the extent possible). Kane’s book is the most extensive and systematic use to which The History of Middle-earth has ever been put. Indeed, one justification for the very existence of that series must have been to make possible studies like Arda Reconstructed. Kane’s book can be used as a roadmap to the vast welter of writings that form the “hypotext” of The Silmarillion, and it has enormous value for this alone, even before one considers the opinions Kane shares and the conclusions he ventures. What can I say? This has got to be my favorite part of the review, and probably will be one of my favorite comments about the book. I particularly like that Jason recognizes that a relatively small percentage of my actual work made it into the final text. Where Kane is at his best is in his relentless ferreting out — so far as he can — of the source(s) of each and every paragraph in the published Silmarillion, from the tangle of source texts underlying it. Kane admits the likelihood that “some of the changes, omissions, and additions that I describe reflect textual material not included (for whatever reasons) in those works [The History of Middle-earth, etc. ], or some other source only available to Christopher (including, perhaps, personal conversations that he had with his father)” (25). This is a prudent disclaimer, and it necessarily circumscribes Kane’s analysis. Not to have seen the original manuscripts housed in the Bodleian (and elsewhere, including any that might still be in Christopher’s hands) makes it difficult for Kane to push his argument to a definitive (or authoritative) conclusion, particularly because Christopher “mostly does not show the final step: his actual creation of the published work” (24). So it must remain educated guesswork on Kane’s part, limited by what has been made public heretofore. Fortunately for Kane, with The Children of Húrin, Christopher has probably now published nearly everything of relevance to Kane’s pursuit. I say “probably” and “nearly,” because I can think of at least one text for which we have still seen none of the intermediate steps, and little discussion of them: Of the Rings of Power and the Third Age. But working within these logical limits, Kane has managed to collate the sources of almost every paragraph of The Silmarillion, a considerable achievement. 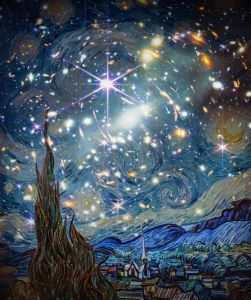 These sources consist, in the main, of an intricate mélange of various versions of the Quenta, The Annals of Aman, and The Grey Annals, with frequent smaller borrowings from other texts — and in one case, from correspondence by Tolkien. In one extraordinary instance, Kane shows how a single paragraph was constructed from no fewer than six source texts (76). If much of Arda Reconstructed is not revelatory, it is because of the thoroughness of The History of Middle-earth. But what Kane does do is to put the copious source texts into a logical, digestible order; explain how The Silmarillion was assembled from that farrago of sources; summarize and comment on the most important changes, omissions, and (more rarely) inventions Christopher made; and finally, speculate as to some of the reasons and motives for them. These two paragraph are almost as good. I like that Jason acknowledges the limitations that I was working under (and that I acknowledge those limitations), and also describes what I was able to achieve despite those limitations. I love the reference to the paragraph with six separate sources! But hold on a moment. 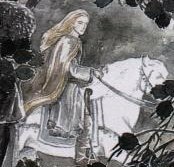 To make judgments about changes or reductions in “Tolkien’s vision” for “The Silmarillion” presupposes an understanding of just what Tolkien’s vision was — to the extent this was ever fixed and knowable. It seems that Kane sometimes presumes he understands that vision better than Christopher does. Kane repeatedly claims that “Tolkien clearly intended” this or that (26, 63-4, 75, 84, 93, 98, 106-7, 190, et passim), sometimes on the authority of Tolkien’s own words, but often not. This is a difficult position to defend — first of all, because Christopher has had access to material and personal experience that Kane has not. Kane accuses Christopher of having made presumptions of his own about Tolkien’s intentions for “The Silmarillion” — fair enough — but in his own way, Kane is guilty of this too. To be fair, neither Kane, nor anyone else, can help but make presumptions. To go back to Auden, this is the unavoidable consequence of interpreting the unfinished works of a dead author. Kane laments virtually every omission Christopher made, but surely Tolkien would not have published everything he drafted? At one point, Kane cites Verlyn Flieger, quoting Tolkien’s own words, that “it is the untold stories that are the most moving” (116). Later, Kane points out that Tolkien himself began a sixth version of the Beren and Lúthien story, designed to be a “somewhat more compressed text” than the fifth, “abandoned because it was getting too long” (173). Do not these clues from the author justify some of the omissions by the editor? Okay, here we go! Up to this point, I would classify the review as very positive, but it takes a decided turn here for a bit. To be clear, I don't think the charge that I sometimes seem to presume to understand Tolkien's vision better than Christopher does is an unfair one, but I think it is a by-product of writing a book like this one. As Jason does say later in the paragraph, anyone would need to presume. And I fully acknowledge (even in the book itself) that Christopher had available to him material and personal experiences that neither I nor anyone else shared. But I think the statements that I make about what appears to be Tolkien's clear intentions are justified, at least based on the abundant material made publicly available through Christopher's own tireless efforts. We'd have to debate them one by one, I suppose, to determine whether that is true. I also think saying that I lament virtually every omission Christopher made simplifies my arguments in a way that is somewhat misleading. Of course, that kind of thing is virtually inevitable in a (relatively) short review. Still, I'd like to see some examples of omissions that I decry that Jason thinks should not have been made, and why. As Jason himself discusses later in the review, one of the most consistent criticisms of The Silmarillion is that it lacks the scope of narrative and descriptive detail of the The Lord of the Rings . Frankly, I think virtually all of the omissions that I lament contribute to that criticism. And much of them relate more to including less detailed versions of passages (which also tend to be older) rather than straight omissions. Furthermore, the two examples that he gives are a bit ironic, because they are both passages in the book where I criticize Christopher for including too much detail in a certain place, not lamenting omissions! The Flieger quote relates to his adding the chapter "Of the Sindar" rather than leaving that material for later in the narrative where Tolkien put it. And the Beren and Lúthien point is that in contrast to his (Christopher's) including the less detailed, older versions in other places, Christopher included (as far as it went) the more detailed version that Tolkien himself decided to replace (at least according to Christopher) because he thought it was too detailed to be included in The Silmarillion. In addition to calling for the reinstatement of virtually every omission, Kane argues almost universally that Tolkien’s latest writings should trump all others, but should they? There are well-known counterexamples. Perhaps most famous is the story of the Sun and Moon, where Christopher retained the earlier version despite intimations, and even drafts, of a major rethinking late in Tolkien’s life. Kane — as I think most readers do — praises Christopher’s retention of the earlier telling. Could there have been other situations (other than those where Kane concurs with Christopher’s judgment) where the earlier was the better draft? It is difficult to know where to draw the line. I don't think the Sun and Moon example really is on point here, because the version that Christopher included really was the final version that Tolkien wrote that has any degree of finality. Yes there are intimations of a major rethinking, and a few brief sketches, but nothing approaching a draft that could have been used. It would have required editorial invention on the same scale as Chapter 22, with far less justification. For the most part, the "latest writings trump all others" theme falls into two different categories. The first is where first phase passages from the later Quenta were used instead of second phase passages that were specifically written to replace them. I stand by those assertions. It certainly is possible that in some cases Tolkien would have returned to the previous versions, but absent some indication that he intended to do so, I think it is fair to assume that the versions written to replace the older versions were the versions he intended to use. More complicated, I agree, is the issue where the different versions are from the two competing traditions, the Quenta and the Annals. I still hold that material from the second phase later Quenta should trump material from the Annals (which are roughly contemporaneous with the first phase of the later Quenta), where they clearly conflict. The most complicated situation comes where the two competing versions are the annals and the first phase of the Quenta. Generally, my preference in that situation would be for the more recent material and/or the more detailed, and usually the more recent and the more detailed are one and the same. As for the question of whether there could be other situations where the earlier draft was the better, I would say, "maybe." I'd be interested in knowing what examples of this Jason (or anyone else) might point to. I think Kane (like Charles Noad, and no doubt others) wishes for something in between the two extremes: something in between the many-branched tree, so over-grown that it collapses under its own weight, as I daresay some would describe The History of Middle-earth; and the tree pruned of many of its youngest branches and loveliest leaves, as Kane might describe Christopher’s Silmarillion. For myself, I would tend to give Christopher the benefit of the doubt on most matters (as all trees need pruning), but Kane is absolutely justified in questioning what seem to be a large number of small and arbitrary omissions. The quote Jason cites is from the pamphlet that Christopher put out soon after the publication of The Silmarillion called The Silmarillion [by] J.R.R. Tolkien: A Brief Account of the Book and its Making. I like the use of the quote, and particularly the tree imagery (so important to Tolkien), and I appreciate the acknowledgment that I am justified in questioning the omissions, even while Jason expresses his (mostly) contrary view. I do have two minor concerns here. First, as I said before, the reference to Mr. Noad will be confusing to anyone who hasn't read Tolkien's Legendarium. I suppose one could say that anyone interested in AR would likely have read that seminal work, but I'm not sure that one can assume that everyone (or even most people) reading the review will have done so. The other concern is that people will assume from these comments that I argue in favor of some kind of mini-HoMe approach like the one that Christopher considered and abandoned, whereas in fact I very explicitly state that Christopher was correct in adopting the single text approach. My argument for a more maximalist approach involved including the more recent, more detailed versions of things as much as possible, not something that "would show something of this diversity, this unfinished and many-branched growth" (nor the all-inclusive kitchen soup approach, including the the Great Tales in their entirety, that Noad describes). But I'm not sure that most readers of the review will get that. A minor point, however. But Kane’s opinion was shaped in the hindsight of The History of Middle-earth. Had Christopher followed Kane’s more “inclusive” strategy from the beginning, it is entirely possible that The Silmarillion would have been a commercial failure — perhaps such a failure as to have prevented any subsequent material from ever reaching readers. Kane realizes this, but his arguments carry a note of assumed authority which I do not feel is entirely appropriate. Let us not forget that “The Silmarillion,” in much the same raw form as Christopher had to work with, was rejected by two publishers during Tolkien’s lifetime. Tolkien’s reputation by the time of his death was the main reason for its publication in 1977, but Christopher and Guy Gavriel Kay’s work to assemble a single text (though not without mistakes, we know) was a large part of its success. And only a modest success, at that. Jason himself is making assumptions here, just as much I do. I think that it is equally valid to suspect that had Christopher followed the more inclusive strategy that I advocate (e.g., including more of the interesting details that got left out), that The Silmarillion may well have been more successful than it was, not less. Indeed, Jason himself seems to suggest that that might have been the case later in the review. As for The Silmarillion being rejected by two publishers, that is a bit of a red herring, I think. The full work wasn't even looked at when it was rejected initially by Unwin in the late 1930s. And neither Unwin nor Collins reviewed any manuscripts at all when they declined to publish it with LOTR in the 1950s. Needless to say, once LOTR had a achieved a high degree of popularity, the publisher was anxious to publish The Silmarillion. And, as I discuss in AR, once it fell upon Christopher to publish the book after his father's death, Unwin put out a press release stating that they were expecting a two or three volume work. And what a task it must have been, to assemble a single text from such raw materials! “Dizzying,” a word Kane uses more than once (63, 117), aptly characterizes the complexity of the Silmarillion text and its relationship to its many precursors. One of the most useful features in Arda Reconstructed is its twenty-five tables, detailing the sources, paragraph by paragraph, from which Christopher assembled the work for publication. In rare cases, particularly in the last chapters of the Quenta Silmarillion, Kane is unable to identify the source of a sentence or paragraph. He concludes either that Christopher consulted a text as yet unpublished, or else that he introduced the material editorially (Christopher has acknowledged several such inventions explicitly). The tables provide an easily navigable guide for intrepid readers who would follow in Kane’s footsteps, as he followed in Christopher’s. Thus, readers may be allowed to judge Kane’s conclusions for themselves. Another nice paragraph. I particularly like the acknowledgment that the tables enable readers to easily follow my work, and judge my conclusions for themselves. That is, I think the crux of the work. For his base text, Kane uses the second edition of The Silmarillion (1999), yet he never says anything in his book about the changes from the first to the second edition. A systematic guide to these changes, however few and small they may be, remains a desideratum. Perhaps we may see this as an appendix to a revised edition of Arda Reconstructed. If not, we will have to wait for the revised edition of Wayne Hammond’s Descriptive Bibliography (in preparation). Here is my point: one can, and should, ask — but Kane never does — why, having come to regret some changes and omissions over the course of preparing Unfinished Tales and The History of Middle-earth, Christopher never made such corrections (reversing alterations, reinstating omissions) as could be done without significant modification. If anything, Christopher’s work on The History of Middle-earth would seem to have been the ideal preparation, and justification, for a genuine revised edition of The Silmarillion. Regarding the comparison of the first edition to the second, I'll leave that to Wayne's more than capable hands. As to calling for a genuine revised edition of The Silmarillion I did not -- and still do not -- think it was my place to tell Christopher what he should or shouldn't do. I think that would have rightfully brought a storm of protests. Throughout Arda Reconstructed, Kane takes the most pain to point out when Christopher has omitted passages in the source material from the final published text. Often, the wisdom of such omissions is a matter for legitimate debate, as in Christopher’s choice to remove the device of the narrative frame and its satellite characters, Rúmil, Ælfwine, and Pengoloð (36, et passim). But Kane spotlights many instances where omissions seem to have been both unnecessary and detrimental to the final text. For instance, Christopher omitted a fuller and more powerful account of Melkor’s attack on Formenos, with the much grislier details recounted to Fëanor by his own son (106-7). So too, the actual words of the Oath of Fëanor, of which Kane finds it “remarkable […] that Christopher chose to leave out this incredibly powerful text […], and to replace it with the older version in which the oath is simply described in bald terms” (111). I agree. And this might have been an opportune moment for Kane to refer readers to the “Sí Qente Fëanor” text, another extant version of the actual Oath, published in the linguistic journal, Parma Eldalamberon. This is a very early, but equally interesting, prose passage, representing Fëanor’s Oath in Qenya, the earliest form of the High-elven language. I think here Jason at least partly bears out my point that a more inclusive approach might have produced a more satisfying book. As for the “Sí Qente Fëanor” text, I think that mentioning it would have been gratuitious, since it clearly was not a text that was intended to or should have been included as part of The Silmarillion. The subject came up in my discussion with Carl Hostetter, and I can only repeat what I said there: where I say that I can't imagine why Christopher did something, it is because I genuinely couldn't imagine why. It's not that I didn't put effort into trying to imagine why, but rather that try as I did I still couldn't come up with any reasons that made any sense to me. I think the review might have been a bit stronger on this point if Jason gave an example or two of places where I say that I can't imagine why things were cut, and then provided his own suggestions as to why he thinks they might have been (but of course, it already is quite a long review, so he probably just didn't have the space to do so). Two of the most controversial of Christopher’s cuts are the Second Prophecy of Mandos (236-9) and the fuller account of the story of Finwë and Míriel (75-6). The latter, Kane sees as only one example in a larger trend of reducing the roles of female characters in The Silmarillion: “There are at least eight female characters whose role or character could be said to be reduced to a greater or lesser extent by the editorial decisions made [by Christopher]: Uinen, Galadriel, Míriel, Nerdanel, Indis, Ungoliant, Arien, and Nellas (in addition to the removal of the two or three daughters of Finwë and Indis, of Baragund and Belegund’s older sister, Beleth[,] and of Andreth from the Athrabeth)” (252). Of all the changes Christopher made, this is “perhaps [Kane’s] biggest complaint” (26). But if the changes and omissions Kane describes do in fact constitute a purposeful reduction, then there is just as much reduction of the male characters (and almost certainly more). For Kane to call attention to only the female characters in this way — and to impute a motive to Christopher to actively reduce their presence in the narrative — strikes me as either disingenuous or careless. I kept waiting for Jason to say more about the Second Prophecy, but he never does. So we still don't know what he thinks about my discussion of its removal - probably the single longest discussion in the book. As for the fuller account of the story of Finwë and Míriel, I thought it was a bit unfair (and inaccurate) to say that it was only an example of the large trend of reducing female characters. First of all, Jason doesn't acknowledge that I do make a fairly comprehensive effort to explore the reasons why Christopher may have removed this material, even though I express disagreement with those reasons (exactly the type of thing that he had just criticized me for not doing). And secondly, in addition to the issue of the trend of the reduction of the female roles, I also talk quite a bit about how the removal of this material contributes to the loss of narrative and descriptive detail that I find lacking in the published work, and the pattern of removal of much of the philosophical content. So it simply isn't true to say that it is "only one example in a larger trend of reducing the roles of female characters." As for that "trend", we have a whole thread here talking about, so I won't address it at length; I'll just try to brielfly address Jason's specific comments. First of all, I'm not sure that his assertion that there is as much or more reduction of the male characters is supported by the facts. I actually think that if one did a proportional comparison of the amount of female characters actually in the drafts versus the amount or reductions and omissions made, it might well turn out to be higher for the females than the males. But that is really beside the point, as I discussed at length in the other discussion. It is the type and quality of the edits and reductions to the female characters that caught my attention, much more than the simple numbers. An edit removing the description of Galadriel as "valiant" has a very different signficance than a removal of the description of one of the sons of Fëanor as "golden-haired". The edits to Uinen and Nerdanel in particular (and even Ungoliant!) are very much of the same nature. I still stand by the basic thrust of this point, though I acknowledge that I could have addressed it in a more sensitive manner. Many such descriptions and images as Gardner finds wanting were in fact written by Tolkien, but omitted by Christopher, and the compression Gardner alludes to was largely imposed by Christopher. Such objections raise once more the question of the viability of an uncompressed volume (as well as the question of whether Tolkien ever intended it to be like The Lord of the Rings) — but by now the point may be, as they say, academic. Here again, Jason seems to be supporting my argument that a more inclusive approach might have resulted in a superior product. I guess the main difference between us on this point is the degree to which we believe it to be true, and the extent of the additional material that the book could have reasonably supported. Kane also highlights a few inventions by Christopher. Two chapters, “Of Aulë and Yavanna” and “Of the Sindar,” were constructed by Christopher out of ancillary material by his father but were never part of any version of the Quenta. More (in)famously, there is the matter of the Nauglamîr (141-2) and “The Ruin of Doriath” (207). Regarding the latter, Kane observes that “Tom Shippey cites [one passage] as an example of Tolkien’s genius for creating compelling images. Yet, as we have seen, Thingol’s death in the dark recesses of Menegroth was completely an invention of the editors” (216). Though Kane is circumspect enough, pointing out Shippey’s “mistake” is perhaps insensitive. Handled just a bit more carelessly, it could have appeared that Kane was making a fool of Shippey, implying gullibility. Alternatively, one might say that if Shippey could be “taken in” (as of course, we all were), it is a sign that Christopher’s invention was of a quality the equal to his father’s. Kane dodges the bullet — just. And let me note here, since I have quoted Kane referring to the “editors” (plural), that throughout Arda Reconstructed, Kane accords Guy Gavriel Kay equal status to Christopher as a co-editor. Though probably no one but Christopher and Kay really know the extent of the latter’s assistance, Kane is clearly overstating his role. It would have been better not to inflate Kay’s contribution without clear cause. The comments about Shippey probably upset me more than anything else in the review. Even though Jason says I was circumspect enough and barely dodge the bullet, this still comes across to me like he is saying that I was criticizing Tom for being gullible. That certainly was not my intention at all, and I really don't think it reads that way (particularly since I make the point of saying that he is widely considered to be "the preeminent Tolkien scholar," which Jason doesn't mention.) I don't think that I imply gullibility on his part at all. My only point here was to show how important it was to have a work like AR that clearly showed what was written by Tolkien and what wasn't, and how it all came together. To the extent that it does appear that I am criticizing Prof. Shippey I regret it greatly, because I have only great respect for him. I also don't think it is really true that I accord Guy Kay equal status to Christopher as an editor. I make it clear throughout that Christopher was responsible for the editorial choices made. I do occasionally refer to "the editors" doing something, to give an occasional relief from the incessant “Christopher did this” and “Christopher did that.” If being doing so I left a false impression that I accord Kay an equal status as an editor, that is unfortunate. Summing up, I find Arda Reconstructed to be a meticulously researched and valuable new reference work (one of all too few) on The Simarillion. If I have been hard on it, take that for engagement with the book and its author’s ideas, and not as discouragement to potential readers. Moreover, it has the added benefit of approaching the work from the relatively new angle of considering Christopher’s role as a vigorous editor, and Kane is to be congratulated for confronting the matter directly. He presses Christopher hard on many points, even candidly questioning his motives and judgment in a couple of cases (98, 239). He sometimes goes too far, but on balance, I find much of his criticism valid, and most of his questions worth asking. Even when his reach exceeds his grasp, at least he is reaching in interesting new directions. His study also throws a brighter light on just how complex the underlying texts and their interrelationships really are, and how Herculean a task Christopher faced in bringing these inchoate works to a larger audience, both in The Silmarillion and fourteen subsequent books. It is a tight and functional abridgement of much of The History of Middle-earth itself — an abridgement, but not a replacement. Finally, it is a blueprint to another possible “Silmarillion” (one I might actually like to read!) — and a roadmap to further exploration in that mythopoeic space. I liked this final paragraph a lot, most of all because I think it is an honest assessment and not just padding to soften the blow of the sometimes harsh criticism in the middle of the review. I hope that Jason won't mind that I took the opportunity to respond to his review at such length, and perhaps he will get a chance to answer some of the comments that I have made. Regarding the latter, Kane observes that “Tom Shippey cites [one passage] as an example of Tolkien’s genius for creating compelling images. Yet, as we have seen, Thingol’s death in the dark recesses of Menegroth was completely an invention of the editors” (216). Though Kane is circumspect enough, pointing out Shippey’s “mistake” is perhaps insensitive. Handled just a bit more carelessly, it could have appeared that Kane was making a fool of Shippey, implying gullibility. Alternatively, one might say that if Shippey could be “taken in” (as of course, we all were), it is a sign that Christopher’s invention was of a quality the equal to his father’s. Kane dodges the bullet — just. The comments about Shippey probably upset me more than anything else in the review. Even though Jason says I was circumspect enough and barely dodge the bullet, this still comes across to me like he is saying that I was criticizing Tom for being gullible. That certainly was not my intention at all, and I really don’t think it reads that way (particularly since I make the point of saying that he is widely considered to be “the preeminent Tolkien scholar,” which Jason doesn’t mention.) I don’t think that I imply gullibility on his part at all. My only point here was to show how important it was to have a work like AR that clearly showed what was written by Tolkien and what wasn't, and how it all came together. To the extent that it does appear that I am criticizing Prof. Shippey I regret it greatly, because I have only great respect for him. To me, something does seem inappropriate here: the emphasis on Shippey’s eminence. Either his work is worth responding to or it’s not – you don’t need to appeal to his reputation. It may be this puffing up of Shippey that suggests to Fisher that your main point is to deflate him, rather than to engage constructively with his work. I also think that you could have been more clear on why it is “interesting” that Shippey makes this mistake (and it is a mistake, not corrected even in his third edition, published nine years after WotJ appeared). Fisher has identified one possible reason: Shippey’s description of Thingol’s death as an “irresistibly compelling” image showing the strength of J.R.R. Tolkien’s inspiration indicates the high quality of Christopher Tolkien’s achievement in constructing that chapter. But you don’t mention that. Instead you observe that Shippey’s mistake demonstrates the value of Arda Reconstructed as a guide to The Silmarillion. So it does, but I wonder if it too blatantly gives the impression you’re just plugging your work. It may have been better to leave the point implicit. Also perhaps to have cited other occasions when scholars misidentify something in The Silmarillion as the invention of J.R.R. rather than Christopher Tolkien –when such errors have some significance– so that this slip by Shippey wasn’t singled out. But this is a minor point, to be sure. You can respect a person and yet note his errors. But the point is that I wasn't intending to note an "error" by Professor Shippey. Unlike you, I don't think that he made a "mistake" in the sense of doing something deserving of criticism - unless you consider it a mistake not to have engaged in the kind of analysis of the published Silmarillion that resulted in AR. You say "it is a mistake, not corrected even in his third edition, published nine years after WotJ appeared)." But even reading the note on chapter 22 in WotJ doesn't make it clear that the passage in question wasn't written by Tolkien, or based on something that he had written. One has to look at the source materials much more closely than that to determine that. Hence, the point that I was making here: that there was a need for someone to organize and compress the relevant material in HoMe so that one can easily determine what the sources of the various parts of the published text was. (Ironically, one of the endnotes that you omit as irrelevant contains citations to two chapters in the book The Silmarillion: Thirty Years On -- including one by Jason himself -- that both express the need for such a work). I just don't see this. Prof. Shippey's eminence is relevant to the point that I was making: that without this type of guide even the most prominent commentators about Tolkien aren't going to be able to accurately discuss The Silmarillion. I also think that you could have been more clear on why it is “interesting” ... Fisher has identified one possible reason: Shippey’s description of Thingol’s death as an “irresistibly compelling” image showing the strength of J.R.R. Tolkien’s inspiration indicates the high quality of Christopher Tolkien’s achievement in constructing that chapter. But you don’t mention that. In retrospect, I agree with this. Honestly, at the time I consider this point so self-evident that it didn't need to be made explicitly made. Clearly, I was wrong about that, and I should have spelled it out. Instead you observe that Shippey’s mistake demonstrates the value of Arda Reconstructed as a guide to The Silmarillion. So it does, but I wonder if it too blatantly gives the impression you’re just plugging your work. It may have been better to leave the point implicit. Also perhaps to have cited other occasions when scholars misidentify something in The Silmarillion as the invention of J.R.R. rather than Christopher Tolkien –when such errors have some significance– so that this slip by Shippey wasn’t singled out. Again, I don't consider this to have been a "mistake" on Shippey's part, simply an example of why this type of study was needed. I was not so much plugging my particular work as I was explaining why I felt that someone needed to create a work like this. Perhaps that point didn't need to be explicitly stated. On the other hand, I see a bit of a contradiction in what you are saying here. Because if I had made an attempt to seek out other occasions in which scholars misidentify the origin of something in the published work wouldn't that likely have made it seem more like I was trying to plug my work? In any event, I didn't seek out examples of this sort. In fact, this particular example was pointed out to me by someone else, and I thought it interesting and relevant enough to include a brief mention of it in the book, primarily because of Prof. Shippey's preeminence as perhaps the most renown [sic] Tolkien scholar. And I still thought it was important and interesting enough to keep it, even after someone who I respect very much suggested that I remove it. But one worth discussing, obviously. I agree with Jason Fisher, that everyone of us has its own "Silmarillion". Agreeing with him I could not notice one point. His notion is, that there is no objective way to recreate work of JRRT. And again to a great extent he is right, to great extent, but not totally. When I accept Arda Reconstructed, as a very important book, it is exactly because it shows inconsistency of Ch.T. choices. One thing is to accept, that many choices made by Ch.T. and G.G.K. ought to be subjective, and there was no other choice. Any reconstruction of "The Silmarillion" means the cannibalisation of the texts, and subjectivity on the part of the editor. But if we look at the choices made, one need to notice inconsistency of those choices. There is no logical explanation, why some of the parts were abandoned despite the fact, that they were integral part of chosen paragraphs. Fisher himself points to those fragments, therefore I am the more wondering about his criticism. I don't say, I agree with Douglas Kane i every respect, I have my doubts, but I don't agree with such a strong relativism on the side of Jason Fisher. Just looking at the LQS, AAm and GA one see quite clear some tendencies on the part of JRRT. Ch.T. made a great work, but even at that time it wasn't the best posiible. Even then "The Silmarillion" could be constructed differently, still being a readable narrative, not a kind of HoME Ch.T. envisioned at first. And Kane shows that clearly. One may discuss possible choices, but's a different story. I think N.E. Brigand described the problem quite well. Voronwë, can you explain why you think Shippey's eminence is relevant? The whole point here is that anyone would have assumed the passage in question was in J.R.R. Tolkien's own words — anyone. Shippey's primus inter pares stature among Tolkien scholars does not make him any more or less likely to have made the same assumption, so I simply don't see how his reputation informs your observation. You can fairly say, "anyone would have needed AR"; or as N.E. Brigand suggested, you might have done well to include at least one other example, saying, "here are some people who needed AR." But what you seem to say is "Tom Shippey, especially, needed AR." The ultimate effect of what you've written, therefore, is exactly the opposite of what you intended. It's as if you mean to suggest (as I know you do not mean to) that Shippey's eminence should somehow have prepared him to question whether these were Tolkien's own words. Post subject: Objective, subjective, relative? I agree with Jason Fisher, that everyone of us has its own "Silmarillion". Agreeing with him I could not notice one point. His notion is, that there is no objective way to recreate work of JRRT. And again to a great extent he is right, to great extent, but not totally. [...] There is no logical explanation, why some of the parts were abandoned despite the fact, that they were integral part of chosen paragraphs. Fisher himself points to those fragments, therefore I am the more wondering about his criticism. I don't say, I agree with Douglas Kane i every respect, I have my doubts, but I don't agree with such a strong relativism on the side of Jason Fisher. First, thank you for the feedback. But I think you have misconstrued me slightly. I did not write, nor intend to convey, that there is no generally objective way to recreate Tolkien's work (setting on one side the fact that all people have biases). I wrote that AR was about subjective questions at least as much as objective ones. And while I did point out that there are many possible "Silmarillions" (i.e., many possible ways to reassemble the fragments Tolkien left behind), I do not mean to suggest there is no single arrangement which, in theory, would be the closest to Tolkien's intent. But I suppose it depends on what you mean by "objective" and "relative", really. The fact that Tolkien did not complete The Silmarillion himself means, incontrovertibly, that there is no single authorially canonical text. Any and all attempts to assemble one are necessarily relative, and in the event, were actually produced by a relative. So there you go! But what you seem to say is "Tom Shippey, especially, needed AR." I would say rather, "Even Tom Shippey can benefit from the type of analysis that makes up a significant part of what became AR." I just don't see it the way the two of you do. I don't see the implication that pointing to Prof. Shippey's standing in the Tolkien community (which virtually anyone interested enough to read AR would know of anyway) somehow suggests that he should have known better. As you say, "anyone would have assumed the passage in question was in J.R.R. Tolkien's own words." Anyone. It must be some kind of lack of perception on my part, because despite both of your patiently explaining it to me, I just don't see it the way you do. It probably could have been expressed differently, but the point is worth making - when analyzing the published Silmarillion, it is easy to lose track of the difference between author and editor. CJRT has given us lots of insight into that with HoME, but Voronwë has made it easily accessible, all in one place. No one can fault a commenter for not knowing the difference (especially prior to the publication of HoME), but that doesn't mean the difference isn't worth pointing out, now that we can know it. Dawn is the founder of the Silmarillion Writers Guild, and not surprisingly, that group had some interest in your book!